The Gulf of Maine Council is pleased to issue this second call for nominations for our 2019 awards program. 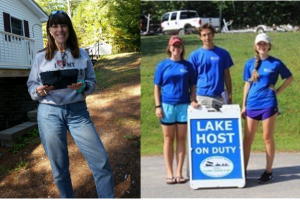 With your help, we will celebrate and honor the accomplishments of volunteers, professionals, businesses, and organizations for their outstanding efforts to promote a healthy and sustainable Gulf of Maine ecosystem. The Council is seeking award nominees from Nova Scotia, New Brunswick, Maine, New Hampshire, and Massachusetts. Awards will be presented during a special ceremony on the evening of July 10, 2019 in Halifax, Nova Scotia. Please help us recognize these unsung heroes by submitting your nominations before the April 5th deadline! The Gulf of Maine Industry Award recognizes an individual, company, or organization for innovation and leadership in efforts to improve the well-being of the Gulf of Maine ecosystem and the communities that call it home. Nominations are sought from the following sectors – tourism, commercial and recreational fisheries, aquaculture, renewable energy generation, and water transportation. 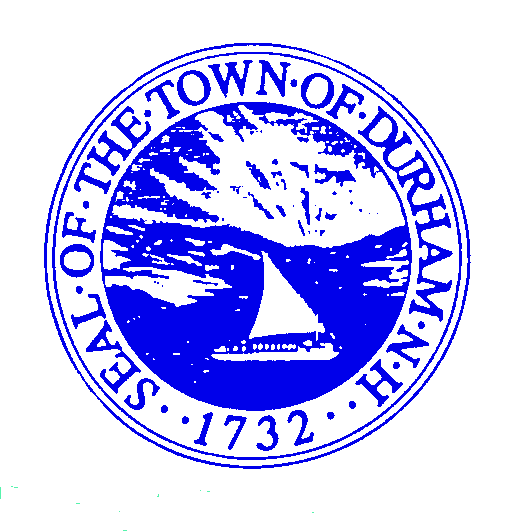 The Council will recognize a community, or group within a community for exemplary work in achieving sustainability outcomes related to the environment and economy, that are in line with the objectives of the Council’s Action Plan. The mission of the Council is to maintain and enhance environmental quality in the Gulf of Maine and to allow for sustainable resource use by existing and future generations. The 30th Annual Nonpoint Source Pollution Conference for the New England states and New York will be held on April 18 & 19, 2019 in Portsmouth, New Hampshire. Both full conference and single day registrations are available. Attendee and Exhibitor Early Bird Registration will close March 15th. All registration will close March 25th. Visit the conference website for registration fees and details on booking a room. This conference, which is coordinated by New England Interstate Water Pollution Control Commission (NEIWPCC) in partnership with member states (NHDES this year) and EPA, has become the premier forum for sharing information about nonpoint source pollution (NPS) issues and projects in this region. Conference attendees will include representatives from public and private sectors in New England and New York State involved in NPS pollution management, including participants from state, federal, and municipal governments; the private sector; academia; and watershed organizations. For more information about this conference, and to register, please visit here. A block of rooms has been reserved at the Sheraton Harborside Hotel in downtown Portsmouth, NH at the current federal per diem rate of $115 + tax. The room block closes on March 25, 2019. Reservations can be made online, or by calling the hotel toll free number, 888-627-7138, and under the group name: 30th Annual Nonpoint Source Conference. All reservations must be guaranteed by a valid major credit card, which will be supplied at the time of reservation. The web-based “Community‐enabled Lifecycle Analysis of Stormwater Infrastructure Costs” (CLASIC) tool is intended to support stormwater infrastructure planning and decisions using lifecycle costs to compare green, hybrid green‐gray, and gray infrastructure practices. There are three main components to the CLASIC tool outputs: (1) life cycle costs; (2) assessed value of co‐benefits (environmental, social, financial); and (3) performance. This webcast presents a rigorous framework of life cycle cost analysis for green and gray infrastructure, along with a live demo of CLASIC tool features and user interface. In addition, the webcast provides an overview of beta testing process for community engagement. Eastern: 1:00p.m.-3:00p.m. Central: 12:00p.m.-2:00p.m. Mountain: 11:00a.m.-1:00p.m. Pacific: 10:00a.m.-12:00p.m. The Federal Emergency Management Agency’s (FEMA) Hazard Mitigation Assistance programs have been revised under EO 13653 (Preparing the US for Climate Change), to include climate resilient mitigation activities. EPA is promoting plan integration of FEMA Hazard Mitigation Plans and water quality plans to support projects that reduce natural hazards while emphasizing its water quality benefits. Though green infrastructure and water quality planning are not new ideas, including them in larger planning efforts, such as hazard mitigation planning, represents a different way of thinking. Pilots have been concluded in Massachusetts; Albany, NY; Huntington, WV; and Ashland, OR. These pilots provide opportunities for learning about successes and challenges, and highlight how communities identify, address, and overcome those challenges. These pilots demonstrate that local stakeholders and communities can use FEMA’s hazard mitigation planning process, a regulatory requirement tied to eligibility for mitigation funding, to educate partners and build support for adoption of measures that mitigate hazards while bettering the environment. 1) Better results and more efficient planning. If watershed planning is part of the hazard analysis, optimal results for water quality, floodplain management, and hazard risk reduction can be achieved. 2) FEMA and other federal funding may be available to water quality projects that also mitigate hazards. 3) More opportunity for green infrastructure solutions to hazards. 4) Reduced flood insurance rates for communities that adopt stormwater policies that reduce risk, including green infrastructure and watershed planning. 5) Potentially meet requirements for reducing water quality impairments faster by management with other risks. You must register in advance to attend this webcast. Register at the Watershed Academy webcast website at: http://www.epa.gov/watershedacademy/watershed-academy-webcast-seminars. The Watershed Academy: The Watershed Academy is a focal point in EPA’s Office of Water for providing training and information on implementing watershed approaches. The Academy self-paced training modules and webcast seminars provide current information from national experts across a broad range of watershed topics. For more information, please visit www.epa.gov/watershedacademy . The NHWWC is a key event for sharing water resource information. For 2019, the event will focus on regional topics such as economy, technology, community partnerships, fish and water fragmentation, sediment, and water quality and quantity. The conference agenda includes sessions and posters that connect information and research from a variety of water topics. “The million-dollar question: How are New Hampshire’s lakes and rivers doing? The day is full of talks on a variety of topics. We will also have a panel discussion on “Positive Outcomes to Address a Changing Water Landscape: One step at a time.” Representatives from local communities will share their experiences with implementing projects that address our changing watershed processes. Shane Csiki, administrator of the New Hampshire Geological Survey’s Flood Hazards Program, will facilitate an engaging discussion about recent actions to address new and emerging problems.